My grape tomato plant is out of control. I always get the bulk of my tomato crop in late summer to early fall, and this year is no exception. While my larger tomato varieties haven’t done so well this year, the grape tomatoes seem to want to make up for their counterparts. This salad came about from the need to use some ripe tomatoes, some lettuce that was on its last day, and some mozzarella in the fridge that didn’t melt very well, but tasted okay when it was cut up. This salad begs for the best olive oil you have, and a splash of aged Balsamic takes it to another level. A sprinkle of whole basil leaves, salt, and pepper finishes things off nicely. 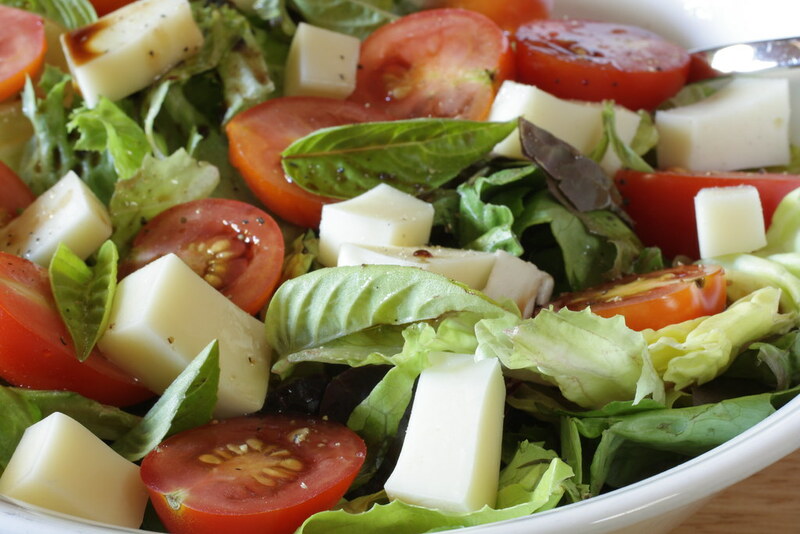 Of course, with the addition of lettuce and balsamic vineger, this salad isn’t your traditional caprese, but it sure does taste great. It would have been even better had I thought to make a few brioche croutons, but I didn’t have that brainiac moment until I was halfway through the salad. Next time, though…after all, I still have many more tomatoes to eat in the coming weeks. In a large bowl (I have an old serving bowl that I use for salads), pile high a few cups of torn lettuce leaves. 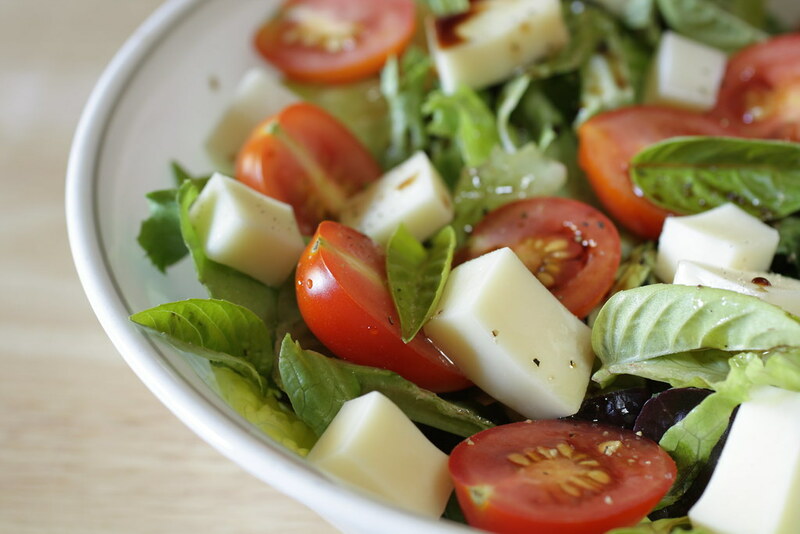 Top with about eight cherry or grape tomatoes, halved, and several cubes of mozzarella cheese. Spinkle a few whole basil leaves over the top. Drizzle with extra virgin olive oil and balsamic vinegar, and season with salt and pepper. Enjoy. It’s sometimes difficult to believe that something this simple could be so satisfying. Becky,Thank you for writing about your experience with the kids and the butterflies. You are an awesome writer!I appreciate how you engage in every aspect of life at Yavneh and how you share it with the world. Your expertise, creativity and kind heart has changed the way we look at “admissions”. Thank you does not express how grateful I am for you!